I love the word. It’s elegant and French, and makes me think of patisseries in Paris. 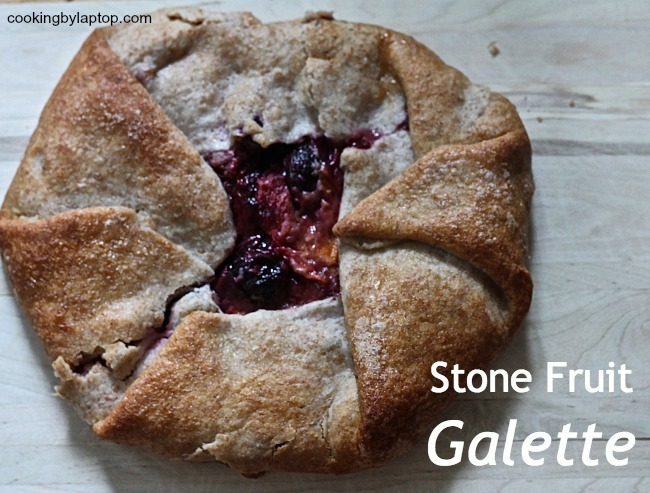 In reality, though, a galette is the opposite of elegant and refined. French, yes, but more French countryside rustic than fancy French pastries beside the Seine. 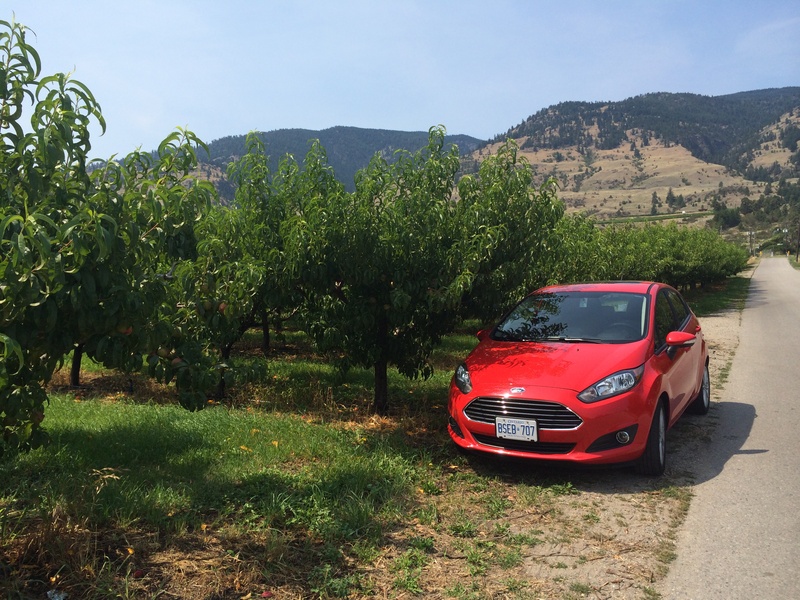 I recently got back from the Okanagan. It’s a region in BC known for a few things: desert, heat, wine, and many, many kinds of produce–including stone fruit. Pretty much everywhere you go, you’ll see apricot, plum, peach, and cherry trees. When I was a kid, my parents would drive up there every summer and come home with a backseat full of boxes of stone fruit, and this year, I got to do the same. Despite its fancy name, a galette is really just a lazy man’s (or gal’s), pie. Lazy, because you don’t need to form the crusts, cut them, flute them. You basically make a pie crust, roll it out, plop your pie filling in the middle, and fold the crust up to make a package to contain the fruit. The end result is a kind of rustic-looking pie, perfect for taking on a picnic, because you only need a knife to cut it, and your hands to eat it with. Given that it’s basically a pie, you can pretty much use any fruit pie filling that tickles your fancy. I reckon I’ll try my hand at a an apple on early in the fall. I, however, used my Okanagan booty for mine, and it turned out great. Make the pie crust in advance, and then wrap in plastic wrap and allow to sit in the fridge for a couple of hours. Remove from fridge and allow to warm up a little while you make the filling. Wash and pit all the fruit. You will want to peel the peaches, but the rest don’t need to be peeled. 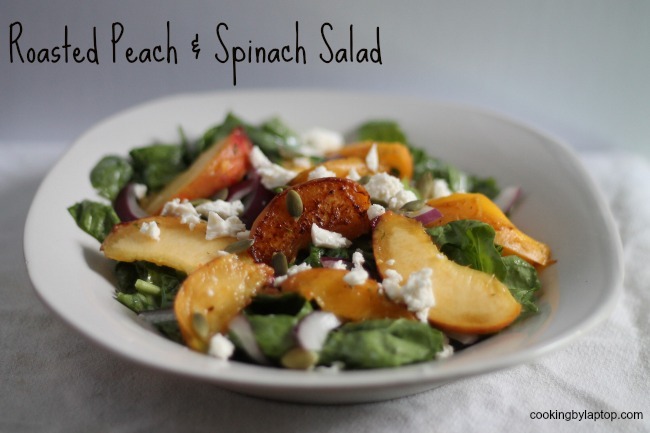 Or, you can sub nectarines for peaches, which won’t require peeling. Slice up the fruit and place it in a bowl. Toss well. Add the sugar, flour, cinnamon, and lemon juice, and toss to mix/coat. Roll out the pie crust on a piece of parchment or a silpat. You want to make it square or rectangular, and about 1/4″ thick. Place the fruit in a pile in the centre, then carefully begin folding up the sides until the pie makes a nice package (with a hole in the top). Beat the egg in a small bowl, and brush the pastry with it. Sprinkle sugar all over. Carefully lift the parchment or silpat with the pie on it onto a baking sheet, and bake in a 350 degree oven for 30-40 minutes. Remove from oven, and, again, carefully remove the pie from the baking sheet using the parchment or silpat, and allow to cool. Slice and serve with a dollop of whipped cream.